PSU status LED on the front panel on 15000 / 23000 appliance is lit in amber. Alert status LED on the front panel on 15000 / 23000 appliance is blinking red. Reboot resolves the issue only temporarily. The issue occurs after completing the Gaia OS First Time Configuration Wizard. 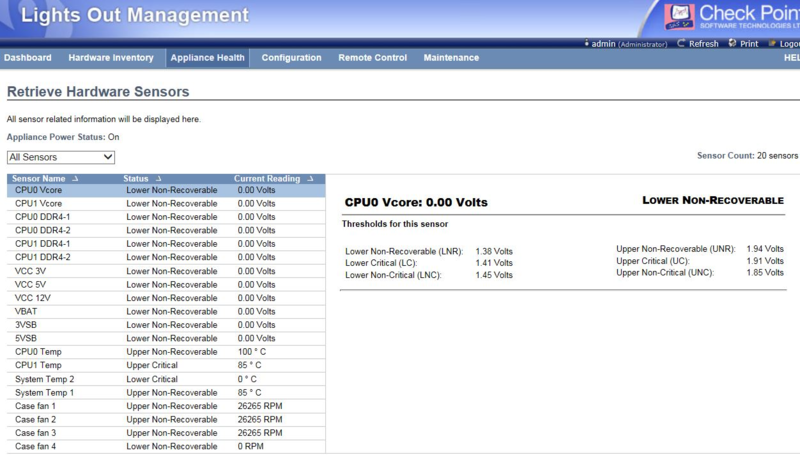 Software driver collision causing appliance Hardware Health monitoring to report false zero sensor readings, regardless of actual sensors status. 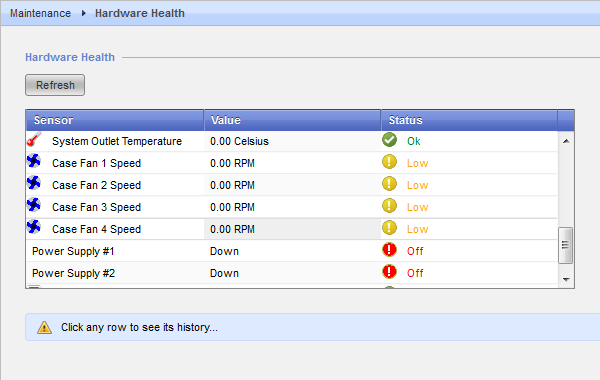 Note: Symptoms are scoped to Hardware Health monitoring services and have no other effect on appliance functionality.